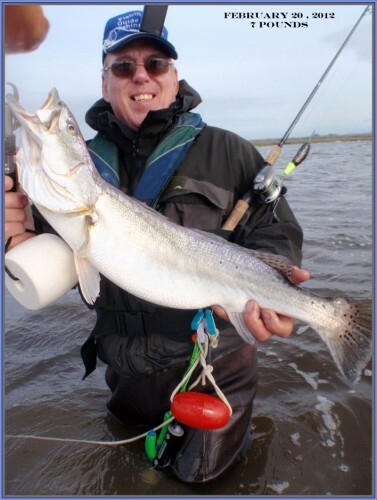 February 26, 2012 Lake Calcasieu’s Big Trout are Starting to Bite! Joann Catches Two 6 pounders Today!!!! February 26, 2012 Joann Catches 2 6 pounders Today!!! Gulp Under a cork scored twice in 30 minutes to give Joann a thrilling afternoon on Lake Calcasieu! Now is the time to catch a wallhanger!!! February 22, 2012 Howard L. Day 2 on Lake Calcasieu, Different Crew, Daniel & Fred!!! February 22, 2012 Howard L. Day 2 on Lake Calcasieu, Different Crew, Daniel & Fred!! A nice mess of Hackberry Halibut . Plus Daniel Caught this Nice Big Lake Trout on a Berkley Gulp . 5 pound 9 oz, His biggest Trout ever!!! 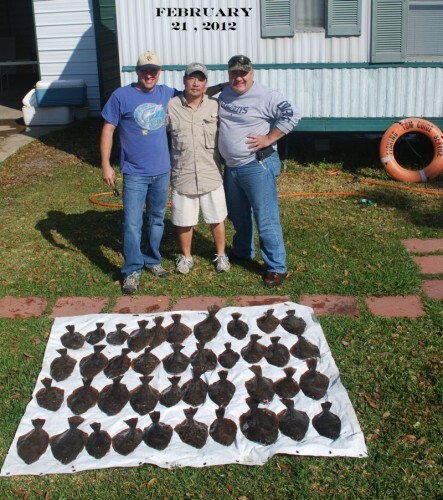 February 21,2012 Howard L. & Friends Lawrence and Terry Catch a Calcasieu Limit of Hackberry Halibut!!! 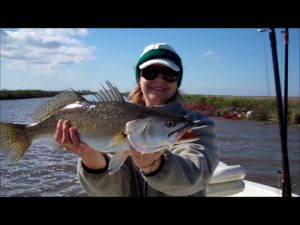 February 20, 2012 It’s Wade Time on Lake Calcasieu!!! February 11, 2012 Jared Adams & Captain Tom Win 2nd Place with 13.22 lbs and Throw back over 50 Lake Calcasieu Bronze Beauties!!! 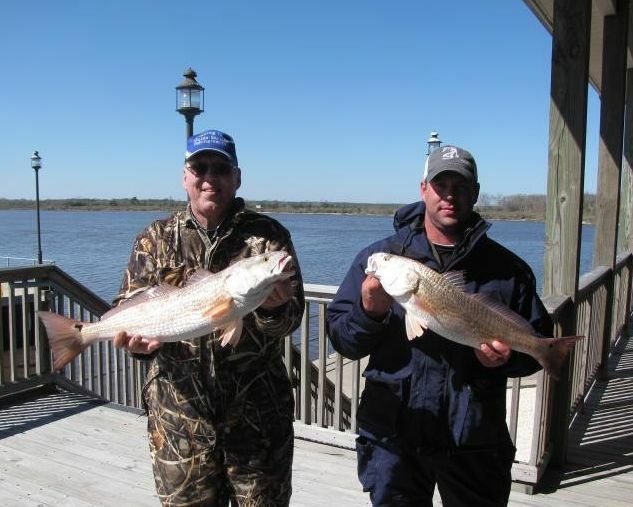 February 11, 2012 Jared Adams & Captain Tom Win 2nd Place with 13.22 lbs and Throw back over 50 Lake Calcasieu Bronze Beauties!!! Not 25 MPH North Wind or a Roaring Tide could slow us down. Berkley Gulp helped us boat and release 10 Reds over 5 lbs and dozens in the 2 to 4 pound class. It doesn’t get any better!!! 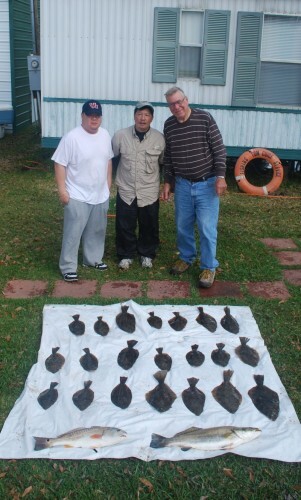 February 9, 2012 Cold, Windy and Muddy on Lake Calcasieu But a few Big Bronze Beauties Still Bite!!! 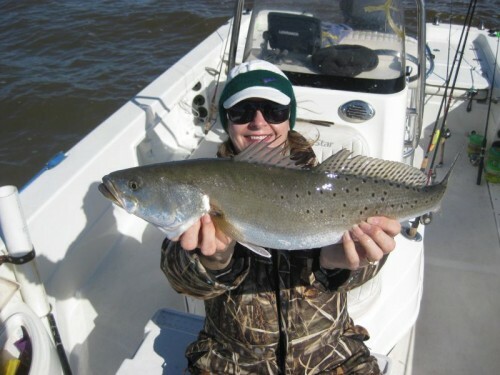 February 9 , 2012 Cold, Windy and Muddy on Lake Calcasieu But a few Big Bronze Beauties Still Bite!!! 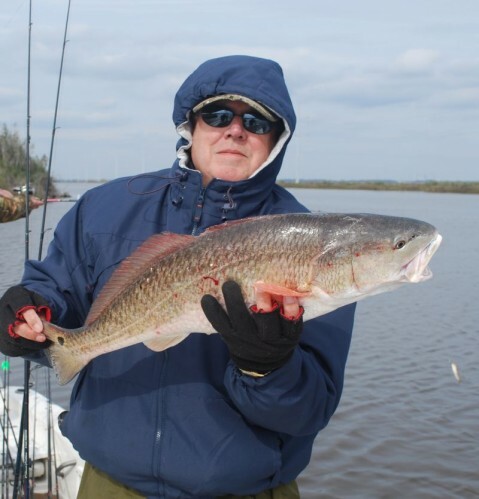 It took Live FingerMullet and a lot of work and patients but for Tom and his friends from Colorado it was The Biggest Red They have ever Caught!!! 30 inches and 10 Pounds! What a Big Lake Beauty!! !